Suzuki is one of the top-10 car manufacturers in the world. We’ve been around since 1909, which means we’ve got more than a century of engineering milestones behind us – and we think the future looks pretty exciting, too. Why? Because we’ve always made products that people want in their lives – and that’s never going to change. Sales in the UK commenced in 1963, firstly with the importation of Motorcycles and later, Cars, ATVs and Marine engines. Today, Suzuki GB PLC is a wholly owned subsidiary of Suzuki Motor Corporation, importing product from all over the world. Based in Milton Keynes since 2006, the company continues to enjoy success in the UK with a recognisable heritage, growing product line-up and a reputation for quality and service. Added to the global innovation in vehicles, Suzuki GB continues to innovate in other ways. In recent years, highlights have been Moto GP on BT Sport sponsorship, MK Dons Football Club title partners, London Olympics marine engine supplier. It is important to us that we continue to create interest and have these stories to tell as part of our history. Suzuki GB have had a long term relationship with Ben, who are an active partner working within the automotive industry supporting colleagues who need help and improving the health and wellbeing of our industry workforce. Since moving to Milton Keynes Suzuki GB have also established a relationship with Willen Hospice, who care for all people affected by life limiting illness in the community. 2014 saw the start of the relationship with Milton Keynes Football Club (MK Dons), whilst also supporting the Milton Keynes Dons Sport and Education Trust (MK Dons SET) which is an independent charity aligned to Milton Keynes Dons using the brand of the club as one of its tools of engagement to improve the lives and experiences of its local community. If you would like to view our full Quality Policy please download below. Please download the full Modern Slavery and Human Trafficking statement below. 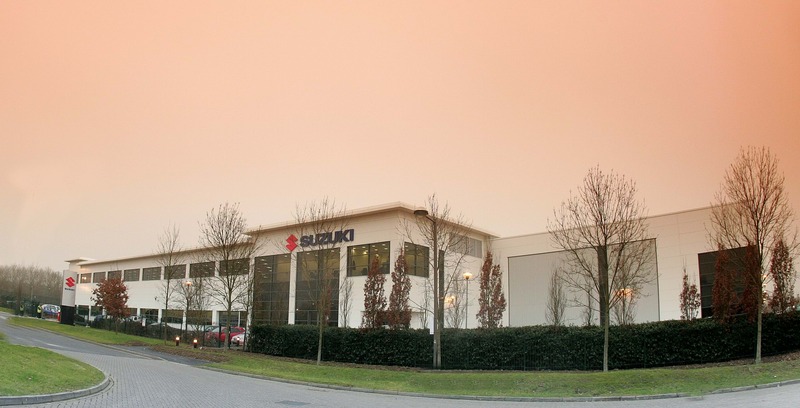 In accordance with Paragraph 22(2) Schedule 19 of the Finance Act 2016, Suzuki GB PLC (SGB) sets out its tax strategy for its UK operations. In the UK, we pay corporation tax, employer and other taxes. In addition, we collect and pay employee taxes and VAT. The taxes we pay and collect form a significant part of our economic contribution to the UK economy. SGB's tax strategy reflects the business practices and ethos, as demonstrated in the arrangements described below. This tax strategy has been approved by our parent company in Japan, Suzuki Motor Corporation (SMC), is effective from the date of publication and will be reviewed each year. SGB has an absolute commitment to full compliance with all relevant laws, rules, regulations and disclosure requirements. Governance of the Company, and therefore tax risk management and policies, sits with the Board of Directors and is safeguarded by a robust internal control system. Tax risks are actively identified and assessed on an ongoing basis, utilising the skills and experience within the UK company, as well as external tax advisors. Where necessary, the Finance Director will report tax risks to the Board of Directors. In addition, where tax risks impact outside the UK, we will also consult with the tax team at our parent company SMC. Arrangements are in place to ensure intra-group transactions are performed on an arm’s length basis. Management of tax risks is a constant process, and where any process weakness is identified, new processes and controls are implemented as necessary. All tax processes are documented and key controls are identified. SGB will not engage in any form of tax planning other than that which is compliant with law and supports the commercial aims of the business. Where commercial activities and transactions are structured in ways in which create differing outcomes for tax purposes, we will not use contrived or abnormal tax structures that are intended for tax avoidance. In the event that there is any risk or doubt that the arrangement structure of the activity could be contrary to tax law or in any way perceived in that way, SGB will utilise external tax advice and, where appropriate, enter into transparent dialogue with HMRC. SGB's aim is to minimise the level of risk in relation to UK taxation. We are not prepared to accept a level of risk that exposes us to reputational harm or which could adversely impact our relationship with HMRC. To ensure that the tax risk to the Company is maintained at as low level as possible, a number of risk management policies and governance arrangements are in place, including reviews of new commercial actions or processes and their potential tax impact. SGB’s approach to dealing with HMRC is to maintain an honest, transparent and collaborative relationship. SGB commits to make full and accurate disclosures in tax returns and in correspondence with HMRC. We will co-operate with HMRC at all times and deal with issues in a timely and collaborative manner. SGB is committed to comply with all tax legislation, regulations and obligations. If any disagreements or issues arise with regards to tax or the interpretation of tax law, this will be proactively discussed with HMRC. SGB fully co-operates with HMRC where any further information or clarification is required. At Suzuki we give talented people the opportunity to make a difference. Need to get in touch? Drop us a line.